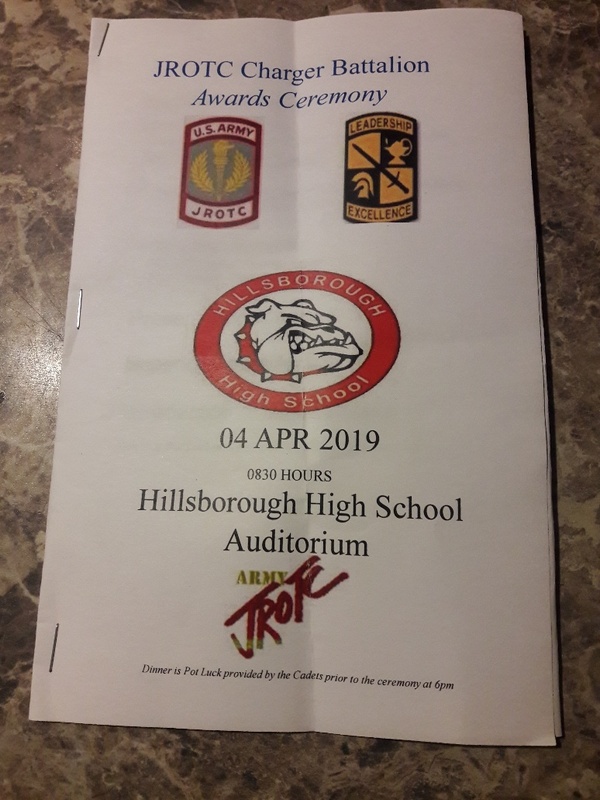 Craig Gross, AUSA member, attended the Hillsborough High School JROTC awards ceremony, Thursday, April 4,2019. Hillsborough High School the oldest high school in the county and the oldest JROTC program in the Bay Area. This unit is in the good hands and leadership of SAI LTC Demetrius Green ( r ). He has built quite a disciplined unit of Cadets as they listened intently as he spoke and they followed instructions. 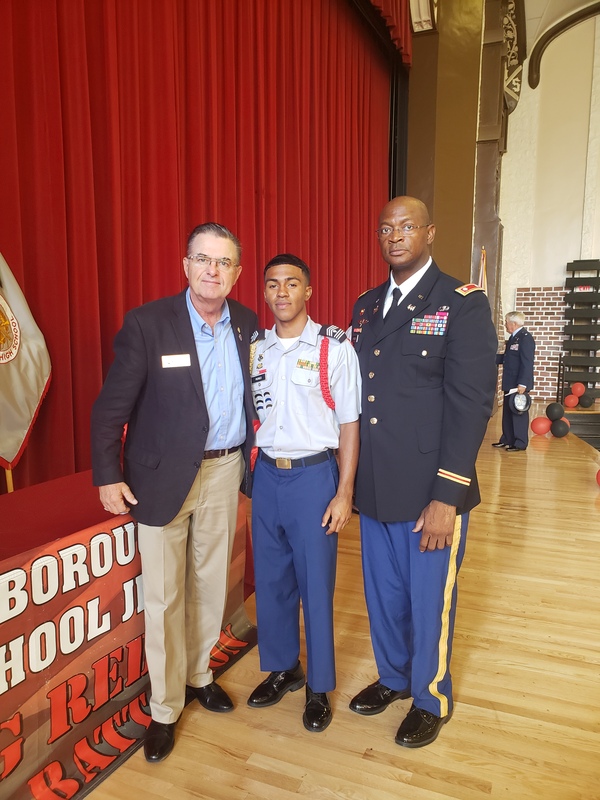 Several of his Cadets received academic and community awards, one receiving 7 awards; this was Cadet Perez who was presented the AUSA Medal of excellence with GREAT HONOR! 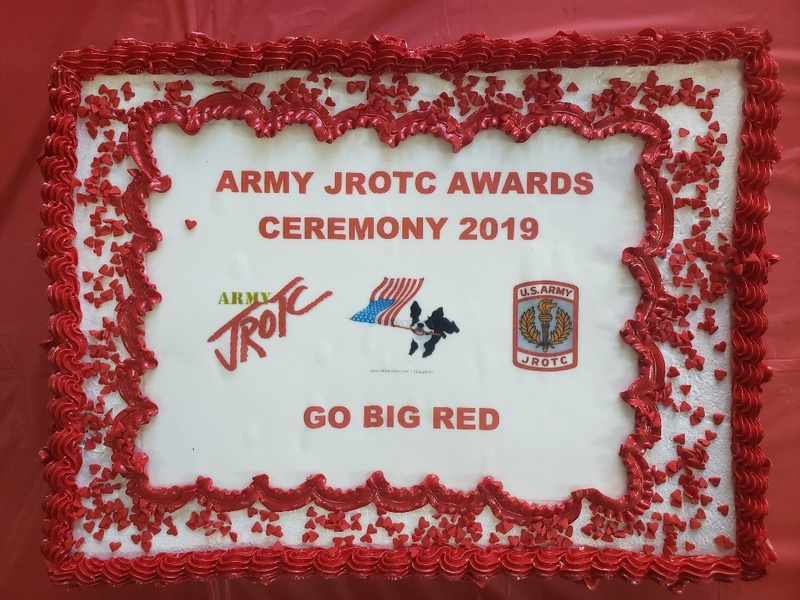 The attractive cake was made by a local bakery and the reception was a good time to thank these young Cadets for their hard work.